Happy vacationing! Go ahead and indulge yourself with a latte, smoothie, frozen yogurt, or ice cream. And don’t even get us started on Island baked goods. No matter where you are on-Island, there is a treat just around the corner. Chilmark Chocolates has been one of the Vineyard’s most celebrated and loved businesses for over a decade. A variety of chocolate treats are all hand made. The Y Cafe offers full menu of healthy items to Y-goers year round. Their menu features smoothies and juices, breakfast items, soups, salads, wraps, and sandwiches. The Cafe is also available for catering events both inside and outside of the Y. The Y Cafe on Martha’s Vineyard is open to the public and offers a full menu of healthy items. Alley’s has been an up-island fixture for generations. They sell everything from coffee, cold drinks, newspapers, groceries, toys, housewares, hardware, and more, and have a new farm stand. Alley’s has been an up-island fixture for generations. They sell everthing from coffee, cold drinks, newspapers, groceries, toys, housewares, hardware, and more, and have a new farm stand. Tucked away at the end of Mayhew Street in downtown Edgartown, Among the Flowers Cafe serves coffee, espresso, breakfast and lunch daily, from April to October, and dinner during the summer months. Enjoy your granola or waffles, your omelet, salad or lobster roll outdoors under the awning and catch a glimpses of the beautiful harbor. Ingredients here are often sourced locally and prices are comparatively easy on the wallet. The Cafe is kid-friendly, too. The menu includes PB&J and a delightfully gooey grilled cheese sandwich. Located within walking distance of many of Edgartown’s inns, hotels and shops, Among the Flowers is a convenient spot to grab a quick bite or linger with a cup of coffee. Among the Flowers serves beer and wine. Don’t miss: Crepes and a fruit bowl while dining outside on the patio. Among the Flowers Cafe is a gourmet cafe nestled in a beautiful garden in bustling downtown Edgartown. This quaint indoor/outdoor cafe offers affordable breakfast, lunch and dinner that even the most sophisticated diners will love. Located in the heart of the fishing village of Menemsha, the Beetlebung Coffee House offers drinks (non-alcoholic) that are arguably the best on Martha’s Vineyard. Known for their Bungaccinos – dark chocolate, white chocolate and caramel espresso frappes – they also serve delicious cafe lattes, fresh squeezed lemonade, all natural fruit & organic yogurt smoothies, and a variety of organic fresh brewed iced teas. Beetlebung offers light fare as well – we recommend going for a taste of the sea with Lobster Wraps and Crab Melts. Come for the beach and breakfast or lunch; stay for the sunset and a light bite or dynamite drink! Open daily (except Tuesdays!) from 7am. In the fishing village of Menemsha, Beetlebung’s coffee house and adjoining retail store offer a taste of the sea from Lobster Wraps and Crab Melts, to our Rorschach Lobster and Octopus designs on clothing for all ages. A cozy coffee shop and kitchen located in historic downtown Edgartown — directly behind Edgartown Books. Serve breakfast, lunch and dinner. Ben & Bill’s Chocolate Emporium is a small family of chocolate and ice cream shops in Massachusetts and Maine. They use family recipes that have been passed down from generations of candy makers, and use only the finest ingredients available to guarantee the freshest, most delicious hand-made candies and ice cream. Their candies are shipped across the country, and sometimes even internationally. Ben & Bill’s Chocolate Emporium is a small family of chocolate and ice cream shops in Massachusetts and Maine. They use family recipes that have been passed down from generations of candy makers, and use only the finest ingredients available to guarantee the freshest, most delicious hand-made candies and ice cream. Serving a full breakfast and lunch menu, plus specialty coffees, cakes, pastries, and more! Located up-island just one mile west of Vineyard Haven center – you can’t miss the vintage 1914 rail car in front of the café! Visit this Island bakery, where the walls are lined with our artisan bread stacked in wooden racks and the bakery case is filled with an assortment of tasty sweet and savory treats. Early risers can start the day with Black Dog’s fresh-baked muffins, Woofer egg sandwich, or a bowl of homemade granola with fresh fruit and yogurt. All paired with a cup of locally roasted fair-trade, organic coffee. Our The café also specializes in fresh sandwiches, including lobster rolls, the turkey club, classic BLT, and more, all made on homemade Black Dog bread. If you’re seeking lighter fare, check out their variety of salad options. Traveling up island or spending a day picnicking on the beach? Grab a few sandwiches (and maybe even a world-renowned Black Dog cookie or two! ), and you’re set for the perfect lunch on the go. Black Sheep is a gourmet grocery and eatery, with a focus on cheese, off Main Street in Edgartown. Owner Mark Venette and his company offer artisanal cheeses, charcuterie, chocolates, and more at this European-style market, “where olives meet caviar and everything in between,” according to the website. New this year in 2014, the cafe will expand its hours and offerings: a bigger grocery selection, full coffee service, more breakfast offerings, and a late afternoon take-home dinner service. Chefs Polly Conway of the Harbor View and Black Dog, and Judy Klumick of Morning Glory Farm are at the helm of the kitchen. Black Sheep is a gourmet grocery and eatery off Main Street in Edgartown. Delicious ice cream served in a friendly shop in the heart of Oak Bluffs. Tony and Erica Bettencourt opened the Edgartown Dairy Queen more than 20 years ago, and despite it being part of a chain (one of the island’s few) it has a distinctly Vineyard flavor. Edgartown School students have counted the days to each annual opening since the very first one, all riding their bikes that day so they can stop at DQ on the way home. From their very “un-DQ” looking location on Upper Main Street, The Bettencourts dish up traditional DQ treats like the Blizzard, as well as light fare such as hot dogs and french fries. Indoor as well as outdoor seating available. Open seasonally. Enjoy soft serve, fast food and traditional DQ delights on the Vineyard. Opened seasonally. A great place across the street from the harbor for your morning coffee and breakfast, everyday! Dock Street, which occupies a tiny, narrow space between the bike rental and the Black Dog Homewares store, is open 365 days a year from 6:30 am to 1:30 pm. This eensy coffee shop is a great spot for early risers, and those of us who want our breakfast for lunch. What it lacks in size, it makes up for in quality. Locals and tourists alike swear by its hand-cut home fries. Don’t miss: Bacon and Cream Cheese on Cinnamon Raisin Bagel and some over easy eggs for dipping, but you can have yours any way you like. A great place for your morning coffee and breakfast. A diner setting in downtown Edgartown. Edgartown Meat & Fish Market is a gourmet marketplace where you can find fresh, quality items in a one-stop shop. Whether it is steaks, fresh seafood, produce, beer and wine or even a freshly baked bagel from our café and deli, Edgartown Meat & Fish Market has a lot to offer. 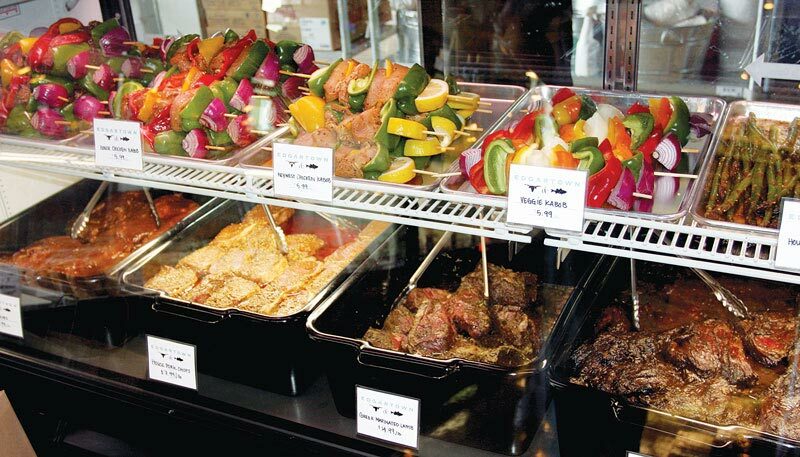 Spend your time at the beach and not prepping for your party in the kitchen by ordering from their butcher menu that includes kebobs, and marinated meats. And, Starbucks lovers rejoice: Edgartown Meat and Fish is the only coffee shop on the Island that serves the famous coffee. Don’t miss: marinated steak tips, chicken breasts, burgers, and kebobs. 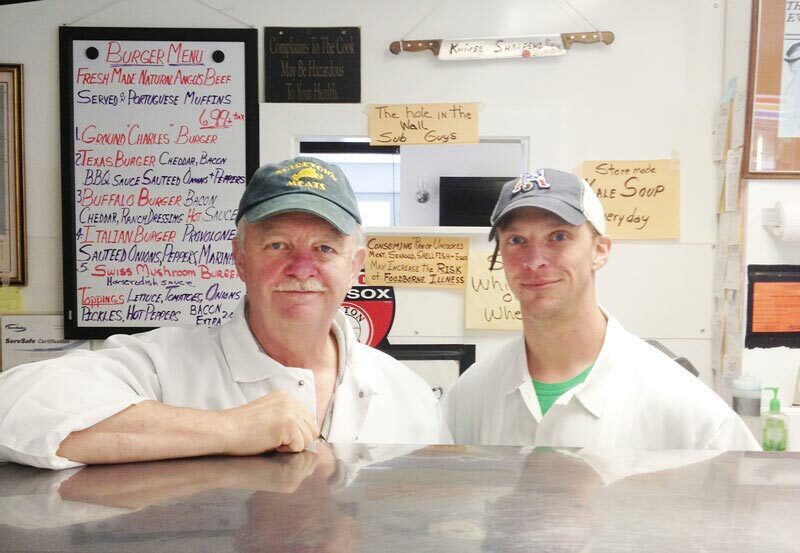 Edgartown Meat & Fish is a family owned and operated business serving the Martha‘s Vineyard community year-round. We specialize in enhancing the Vineyard lifestyle in so many ways. Tucked away off Main Street, Espresso Love is a favorite among locals and visitors for its freshly baked goods, coffee drinks, sandwiches, and outdoor garden seating. “Carol McManus opened Espresso Love in 1992. She was new to the food business, but she loved to bake and was compelled to make a living – she was the single mother of 5! She set out to make the very best morning treats and coffee and it is this simple goal that has kept the counters busy from 6:30 am to late in the pm. Fresh baked goods, soups, sandwiches, pizza and, of course, great coffee keep the crowds coming all day long,” according to the website. If you’re in Boston, visit the sister store on 33 Broad St.
Don’t miss: Anything from the bakery case, and the Chilmark sandwich. Fella Cecilio, a well-known, longtime Island caterer with a reputation for tasty beach clambakes, has added a new enterprise to his menu of business activities. Located just past up-island Cronig’s in the Post Office plaza in West Tisbury, Fella’s menu includes pastries, breakfast sandwiches, soups, pizza and made-to-order sandwiches. . There are a few little tables outside here, but we love to grab a large, meaty chili and a bag of chips on our way to Menemsha for the sunset. Open year round for breakfast and lunch, Fella’s also offers pizza on Friday nights ’til eight o’clock. Pastries, made-to-order sandwiches, soups, pizza and breakfast sandwiches (and we cater!). The Good Ship Lollipop tempts shoppers with a sweet voyage through a bounty of treats from past and present. Music playing in the store includes sweets-themed selections, such as “The Lollipop Kid,” to set the mood for a trip to memories of candy past, such as Mary Jane‘s, Squirrels, circus peanuts, candy buttons and wax lips, to name a few. Fudge, ice cream novelties, popcorn, pretzels and drinks round out the selection for those with a more modern taste. Sugar-free fudge and candies also are available. In addition, the store offers balloons, gifts, and toys. The Good Ship Lollipop offers sweet treats ranging from classic favorites such as Mary Jane’s, Squirrels, and circus peanuts to ice cream novelties, popcorn and fudge. The store also offers party supplies including ballons, gifts, and toys. Humphrey’s has grown from humble beginnings peddling turnovers to workmen at the Dukes County Garage in the 1930s, to an Island staple with three locations – Tisbury and Oak Bluffs. They’ve consistently been voted Best of the Vineyard (consecutively since 1999!) for their baked goods, simple yet delicious sandwich offerings and welcoming, comfortable atmosphere. We love to snag a table in the window of the Tisbury shop, tucked back off State Road in the Woodland Center, with coffee and a book and a famous Turkey Gobbler – Oven roasted turkey, homemade stuffing and cranberry sauce heaped between two slices of freshly baked sourdough bread – Humphrey’s own! 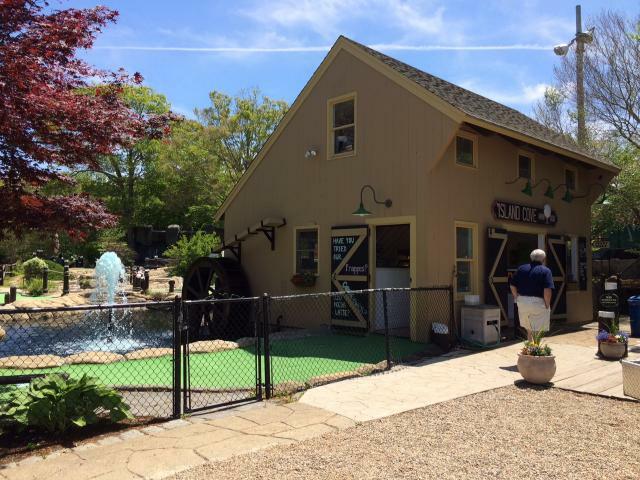 With its adventure-themed miniature golf course, 24-ft mobile climbing wall, home-made ice cream and outdoor grill, Island Cove is a sweet treat and Martha’s Vineyard’s only miniature golf course. Enjoy a game of golf, lunch or ice cream among their water themed garden and lots of shade and trees. The facility is also available for private parties including birthdays, reunions, anniversaries, wedding activities, and team building events. Do it all for a low package price, with the benefit of parking, bathrooms and sprinklers on muggy days. Island Cove is open spring through fall with extra hours during school vacations and holidays. Open 10am-10pm daily in the season. Check their Facebook page for updates and shoulder season hours. Open year round, Little House Cafe is comfortable, cozy, reasonably priced, and conveniently located near Cronig’s Market in Tisbury. Eating here is like visiting with friends in their living room, surrounded by beautiful local artwork and delightful aromas wafting from the kitchen. The menu features freshly sourced ingredients and an eclectic, global flair, with selections ranging from Indonesian to Italian to Middle Eastern. They also offer a great kids’ menu and a wealth of vegetarian options. Whether you come for breakfast, lunch or dinner you’re sure to find something appealing. Our favorites? Crispy Fish Tacos and the towering pyramid of vegetarian goodness that is the Indonesian Gado Gado Salad. Little House Cafe is a year-round cafe on Martha’s Vineyard, located near Cronigs Market in Tisbury. Serving breakfast, Lunch, Dinner and coffee, stop in for some high quality goods at a reasonable price! MacPhail’s Corner Café is located on Dock Street in Edgartown. With great views of the Edgartown harbor, this coffee shop is a great place for your regular morning cup of coffee or for an afternoon pick me up after shopping. Come try out their great sandwiches too. Mad Martha’s in Vineyard Haven is just a hop, skip and a jump away from the ferry dock, which makes for a quick stand-by treat when you’re waiting to get off the island, or the first thing to get when you get here. 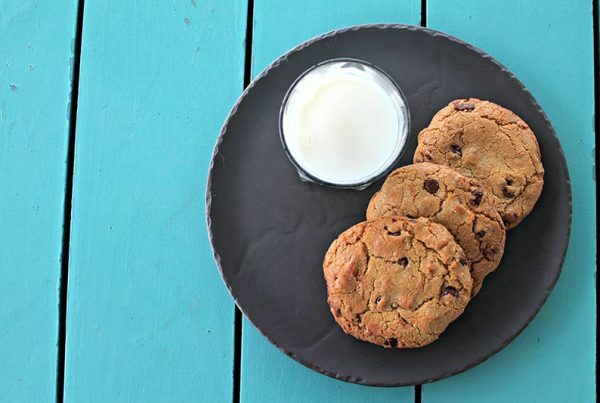 You’ll find just about any flavor under the sun, from basic vanilla (which is far from basic) to fun, seasonal concoctions like Lotsa Dough or Snickers. Located on Beach Street next to the Chamber of Commerce is Magnetic North, a retail store and a cafe. The entrance opens into a spacious room lined with fresh displays of clothing and household decor. Shop owner Maggie Towles said the store is inspired by the two places she lives — New York and Massachusetts, so she wanted to bring in a little of both. The store has a preppy, nautical style and city sophistication, with a casual, seaside flair. The back of the shop is a bar that sells coffee and pastries from Behind the Bookstore, a restaurant based in Edgartown. “I was thinking about what I wanted in Vineyard Haven,” Ms. Towles said. “And that’s a good cup of coffee.” The shop name was inspired by Ms. Towles’ first name, Maggie, and the gravitational pull of a compass. Tucked behind Main Street in Edgartown, the Main Street Diner is open 7 days a week for breakfast, lunch, and dinner from the end of March to the beginning of January. Owned by the Ward family since 2003, the diner is a great place for families. Decks of Trivial Pursuit cards adorn each table, and the dessert case features daily specials. “This hidden gem located in Old Post Office Square, behind the courthouse and under Entertainment Cinemas, provides a glimpse into the past. You can’t help but crane your neck as you take in the floor-to-ceiling memorabilia from the 1950s and 1960s while listening to crooners such as Franki Valli and the Four Seasons,” wrote MV Times food columnist Kaylea Moore, June 20, 2013. 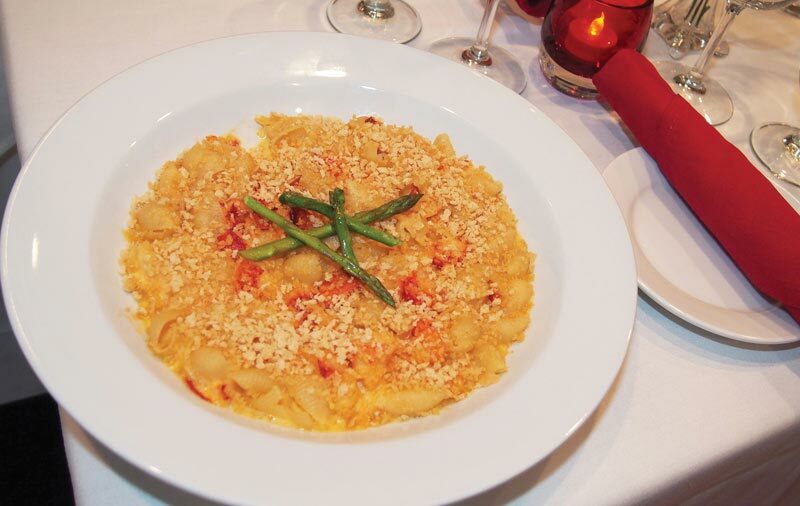 Main Street’s macaroni and cheese. Don’t miss: Stuffed French toast for breakfast, lobster rolls for lunch, and any Italian special for dinner. Click here for a full review from the M.V. Times. Owned by the Ward family since 2003, the Main Street Diner is a great place for families to enjoy breakfast, lunch, and dinner. Frank Fenner, the Chilmark selectman, his wife Merrily and sister Barbara purchased the Galley, a seasonal fixture on the picturesque Menemsha harbor for years, in 1999. The Fenner family and an extended network of young people work in the snack bar, which attracts regular Island patrons and visitors throughout the day. Galley fare ranges from soft-serve ice cream to specialty sandwiches created by Barbara Fenner, a trained chef. A back porch provides comfortable seating and a view of the harbor. The Galley is open seven days a week Memorial Day through Columbus Day. The Galley offers a wide variety of take-out, from hamburgers and grilled cheese sandwiches to soft-serve ice cream and milkshakes. They also have many vegetarian options. A back porch provides comfortable seating and a view of Menemsha harbor. A small coffee shop tucked under a row of shops on Circuit Ave. Coffee, bagels. and more. A small coffee shop tucked under a row of shops on Circuit Ave is known as Mocha Mott’s. Now celebrating its 15th anniversary, it has become a coffee institution for Islanders – year-round, seasonal, or day-trippers – who are drawn to the shop by their love of coffee. Mocha Mott’s is a small community coffee shop on Main Street in Vineyard Haven. Coffee, bagels, and more. Morning Glory Farm, started in 1975 by James and Deborah Athearn, grows about 50 acres of vegetables and small fruits on the Island. The farm stand boasts a small grocery store, salad bar, freshly baked goods, and fresh made soups, juices, and prepared food, and is open seven days a week from May through December. A great stop before going to the beach. The farm grows a variety of sweet corn, lettuce, carrots, beets, tomatoes, melons, potatoes, beans, squash, pumpkins, and more, and also sells an abundance of produce from nearby off-Island farms. Their organically grown herb garden supplies a full assortment of culinary herbs. They also raise two acres of cut flowers, and small plantings of strawberries, blueberries, peaches, and beach plums. They also keep beef cows for whom they harvest 30 acres of hay and produce eggs, pork, and fresh pastured chickens to sell in the farmstand. Don’t miss: Zucchini bread, anything fresh off the farm, and the Swedish apple pie. Fresh baked goods hot out of the oven go on the shelves each day at 2 pm. Beware, as they sell out quick. Morning Glory Farm, started in 1975 by James and Deborah Athearn, grows about 50 acres of vegetables and small fruits on the island. Great fresh produce, baked goods, and meat. Murdick’s Fudge on Martha’s Vineyard has been making fudge and brittle with the same recipes since 1887. Flavors Include: Plain Vanilla Fudge, Vanilla Pecan Fudge, Butter Pecan Fudge, Penuche Fudge, Plain Chocolate Fudge, Double Chocolate Fudge, Chocolate Peanut Butter Fudge, Chocolate Pecan Fudge, Chocolate Walnut Fudge, Peanut Butter Fudge, Cape Cod Cranberry Fudge, Rocky Road Fudge. Fudge and Brittle can be readily shipped anywhere in the world. Murdick’s Fudge and Brittle products make ideal gifts for birthdays, Thanksgiving, Mothers’ and Fathers’ Days or for any special occasion. Martha’s Vineyard Gourmet Café and Bakery has been around for as long as most Vineyarders can remember. The delicious smell of fresh, hot donuts still seeps out both the front and back doors, calling to hungry customers.Through the years, recipes for old-time favorites such as apple fritters and cheese bread were shared with each new owner. MV Gourmet Café & Bakery continues to offer these favorites as well as cream puffs, éclairs, cannoli, and other new specialty items. Their cappuccinos, lattes, hot chocolate, chai, regular coffees and teas will warm you up… or they’ll prepare them iced to cool you off. Back Door Donuts, serving hot baked goods right out of the store’s back door is famous on Island for offering tasty treats from 9 pm until 12:30 am. A hot spot for families craving a sweet dessert and later a popular spot for bar-hoppers craving a late night snack. Most famous for their treasured apple fritters and cheese bread, as well as their cream puffs, eclairs, cannoli and other special bakery items. Special orders welcome as well as custom wedding cakes. Nat’s Nook opened in June 2014 on Main St, Vineyard Haven. The Nook specializes in sweet and savory crepes and Rao’s coffee, espresso, and tea. Pain D’Avignon baked goods and breakfast bagels are also available. It’s a cozy spot to meet with friends and enjoy a good cup of coffee, with a cute outdoor patio open in the summer. The crepes are delicious, with breakfast, savory and sweet options available all day. Gluten free crepes and sandwiches are an option as well. The Nook is proud to offer good food and coffee all year round! While visiting Martha’s Vineyard be sure to stop at New Moon Magick-Enchanted Chocolates, a charming shop filled with chocolates, antiques, botanicals and magical treasures. It’s the home of Enchanted Chocolates, the Original Magical Chocolates made on Martha’s Vineyard. Every chocolate and confection is handcrafted by us using only fine 70% cacao chocolate. New Moon Magik also stocks a great collection of vintage jewelry from Victorian, Art Deco, and the retro Mid Century, along with bridal jewelry, and sterling silver. Other shop finds include chenille bedspreads, tablecloths, antique prints, art, clocks, nautical items, ephemera, english ironstone and garden accessories. The intriguing practitioner’s boutique offers a variety of antique craft tools, wands, jewelry, candles, incense and books, as well as our own lip balm, aromatherapy mists and body butters. Fresh Veggies and Fruit, farm meat and eggs, speciality cheeses, oilive oils, ice cream and cold beverages. Open 7 days a week in-season. Pony rides on Saturday and Sunday afternoons. Not Your Sugar Mamas (NYSM) is revolutionizing the way we consume chocolate by crafting superfood chocolate products and spreading awareness of the benefits of raw cacao. NYSM delivers powerfully healthy, incredibly tasty, handmade, organic, superfood chocolate treats and drinks. In addition to their signature chocolate bars, which can be found at various markets and cafes on Martha’s Vineyard, NYSM’s also offers smoothies, “mylkshakes,” soups and other breakfast and lunch items at their organic cafe in Vineyard Haven. Inspired by the original Orange Peel Bakery in Aquinnah this takeout restaurant at the Aquinnah cliffs serves a creative menu focused on fresh and local ingredients. Owned by Juli Vanderhoop and manned by Chef Alex Jenkins the menu is constantly changing but you may find things like Lobster Quiche, Thai Chicken Salad, Shrimp Caesar Salad, Stuffed Grapefruit, Chowder, biscuits and gravy, and so much more. Casual restaurant at the MV Airport serving breakfast and lunch seven days a week. Featuring deli style sandwiches, grilled chicken and steak sandwiches as well as fresh seafood platters. A casual Martha’s Vineyard year-round restaurant at the MV Airport serving breakfast and lunch seven days a week. Featuring deli style sandwiches, grilled chicken and steak sandwiches as well as fresh seafood platters. 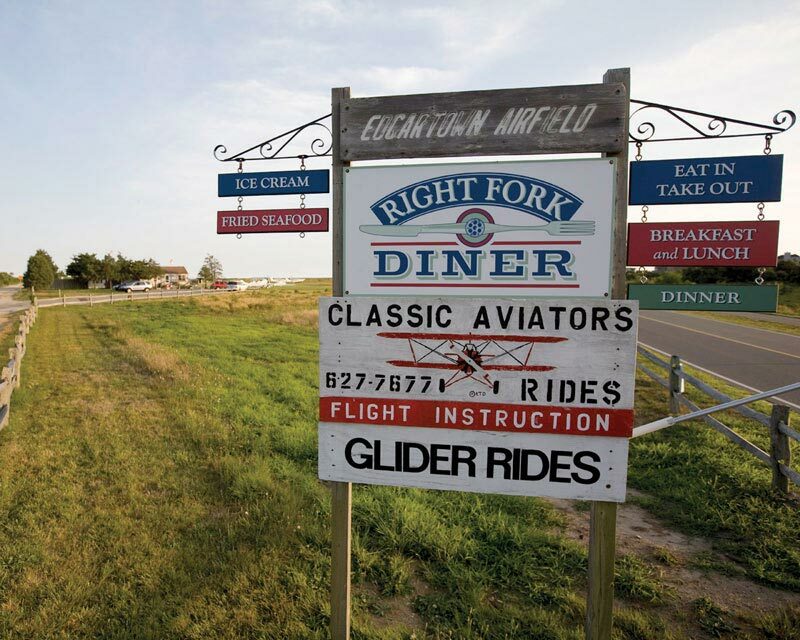 The Right Fork Diner, located at the Katama Airfield, serves breakfast, lunch, and light dinner from 7 am until sunset, May through October. Watch small planes take off and land while enjoying a bite to eat: Breakfast is served daily until 2 pm, and lunch starts at 11 am. And on Sunday and Monday evenings, feast on local BBQ, hosted by Local Smoke. The diner is the last stop for food before reaching South Beach, 1 mile away. We like: Blueberry pancakes, the Farmer’s omelette, and frappes. The Right Fork Diner is open in-season for breakfast, lunch, and dinner. It is located one mile from South Beach in Edgartown. 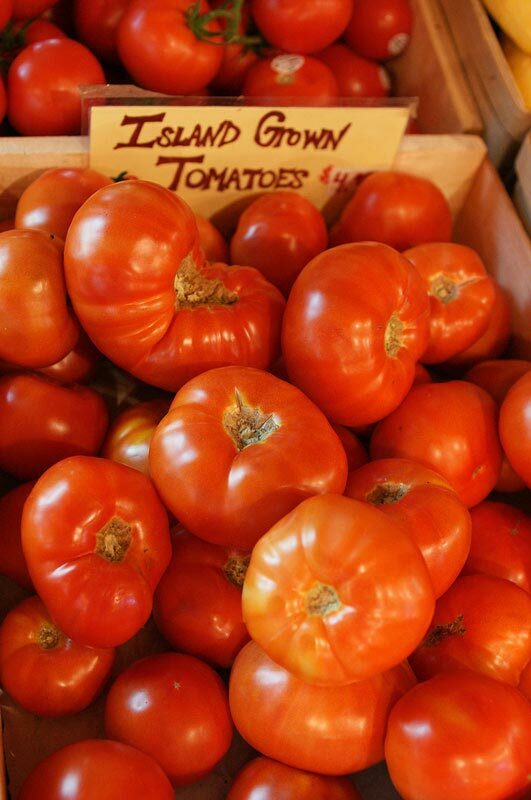 Rosewater is a year-round Market & Take Away Food establishment located in historic downtown Edgartown. Rosewater is committed to sourcing and serving the best food products possible – from fresh baked goods & prepared foods made in house to specialty products from the island and beyond. Rosewater’s prepared foods offer an ever-changing assortment of inspired salads, seasonal vegetables, and satisfying proteins thoughtfully prepared for you to take home to family and friends. All pastries, cookies and other sweet treats are baked from scratch daily in the Rosewater kitchen, as well as their sandwich bread and fresh-baked loaves. They proudly serve their own Rosewater House Blend coffee, roasted especially by Chilmark Coffee. 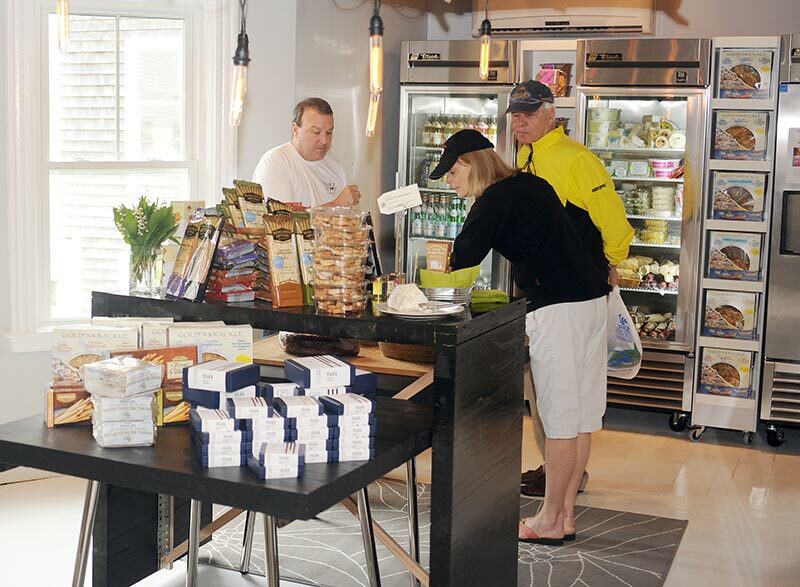 In addition to food, the Rosewater neighborhood market offers a combination of everyday necessities, pantry supplies, specialty foods and island favorites, along with an evolving array of special Rosewater products to aid your cooking and entertaining activities. Rosewater also offers catering and private dining services. The Scottish Bakehouse is a bakery and take-out cafe offering fresh baked pastries, breads, and a variety of breakfast, lunch, and dinner options. Enjoy breakfast all day, a gluten-free menu, and local and organic ingredients when available. Ingredients are found at local farms and right out back in Scottish’s own garden. Organic and gluten-free options are always available, including gluten-free breads, all baked on site. In addition, local fresh eggs are available for purchase at the counter. Catering options are also available. With shaded picnic tables under the trees and the generous front porch with benches, diners can enjoy their food on site. The Bakehouse has fast become a meeting place for friends and friends– all shaded by the trees and nourished by the bakery. The Scottish Bakehouse is a bakery, take-out cafe offering fresh baked pastries, breads, and a variety of breakfast, lunch and dinner options. Breakfast all day, Gluten-Free menu, Local and organic ingredients are used when available. Husband and wife team John and Kira Shepherd are no strangers to preparing delicious food on Martha’s Vineyard, and now they’ve made it available for easy purchase on State Road in Vineyard Haven. The duo recently opened Shepherd’s Provisions, a gourmet market offering freshly prepared artisanal food handmade by John and Kira at affordable prices. The shop offers lunch and dinnertime meals for pickup, including dips, soups, and stews, as well as canned sauces, spice rubs, and even pickles. For a sweet treat, try their homemade hot cocoa, popcorn, and chocolates, among other decadent desserts. With the holidays approaching, be sure to stop by Shepherd’s Provisions and design your own gourmet gift basket, complete with Kira’s own peppermint bark. Shiretown Meats is owned and operated by two professional butchers with a combined experience of 65 years cutting meat. Their slogan says it all: “Always pleased to meet you, always meat to please you.” They have been serving the Vineyard for more than 30 years, and will cut anything to order, and suggest how to cook the product. Known for its old fashioned butcher shop feel, they sell prime beef, pork, lamb, veal, and organic Bell & Evans poultry. “Our Prime Beef has no hormones added, no antibiotics, 100% vegetarian diet, and was humanely raised and handled,” writes Shiretown. Shiretown also sells a variety of fresh submarine sandwiches, from the Homemade Meatball sub with marinara and provolone; to the Texas Cheeseburger sub with sautéed onions and sweet peppers, cheddar, and BBQ sauce. A real old fashioned butcher shop with old fashioned values. Excellent fresh cut meats, selected grocery items and great subs to go. Open year-round, Slice of Life is a casual café and bakery serving breakfast, lunch, and dinner. Start your day with a cup of fresh brewed coffee, something from the espresso bar or one of their eclectic selections of tea. Have a seat on the sunny porch and enjoy a stack of buttermilk pancakes with Vermont maple syrup, a savory Slice scramble, or an authentic New York style smoked salmon bagel. 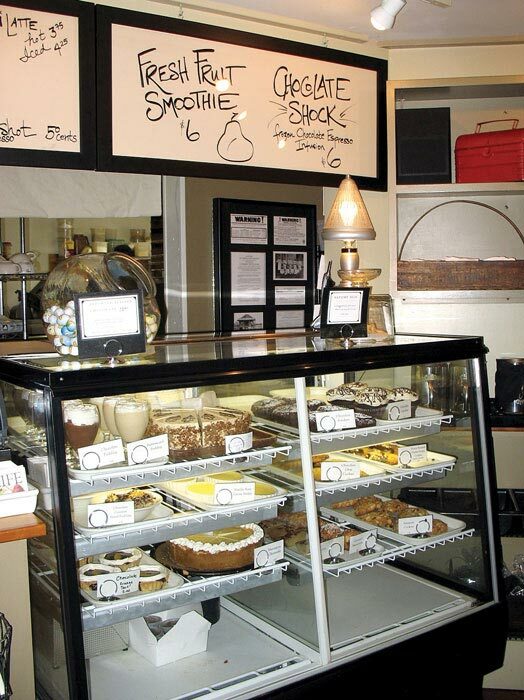 Stop by any time for goodies from the bakery case, filled with confections made fresh every day. Indulge with a fresh fruit smoothie or have a chocolate shock and see what the buzz is all about. Along with their award winning chowder and our famous fried green tomato BLT, the lunch menu offers a wide selection of signature soups, salads, pizzas and sandwiches to satisfy any appetite. Dinner specials are equally inspired, and made from the finest and freshest ingredients available. We like: Asian Salmon Salad for lunch or dinner, the Cod dinner entree, and Chocolate Fondant topped with ice cream. Slice of Life is a casual café and bakery serving breakfast, lunch, and dinner on Martha’s Vineyard, open year-round. 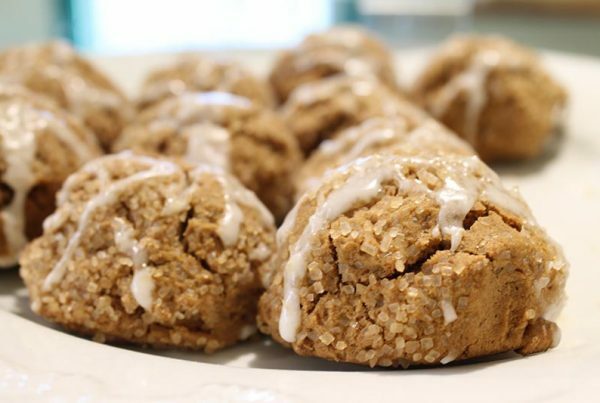 Sweet Bites, is a new bakery in Vineyard Haven, and a haven for cake-loving folks. From the owners of Bite on the Go, Sweet Bites is open daily from 6 am until 6 pm and offers coffee, breakfast, and lunch sandwiches, baked goods, cakes, and more. Sweet Bites also offers a wide variety of traditional Brazilian snacks and desserts. The Black Dog’s famous fresh-baked goods are available at The Black Dog Bakery in Vineyard Haven, as well as sandwiches, salads, soups, and Black Dog merchandise. Open daily, year-round. The Black Dog’s famous fresh-baked goods are available at The Black Dog Bakery in Vineyard Haven. All of the Black Dog’s baking is done at the Black Dog Cafe in Vineyard Haven. The cafe offers desserts, sandwiches, salads, breakfast options and more for takeout or eating on-site in a casual dining area. The Black Dog also offers catering for a variety of events. The Black Dog Cafe offers desserts, sandwiches, salads, breakfast options and more for takeout or eating on-site in a casual dining area, as well as catering options. Ice cream on Main Street in Edgartown with a variety of flavors from classics to new combinations. Woodlawn is a no-frills breakfast and lunch dining spot, with a small grocery as well. Locals frequent for simple but tasty breakfast sandwiches and lunch, as well as Keno.